For the cleaning of all plastic and varnished surfaces. Removes even stubborn dirt and marks. Very easy to use: soak a lint free cloth with cleaner and wipe off surface. For heavy cleaning, let cleaner sit for 30 seconds, then wipe off. The ingredients are completely biodegradable. Wood Cleaner does not contain phosphates, dangerous acids, lyes, petroleum distillates or chlorinated hydrocarbons. This cleaner has been tested successfully on various surfaces. However, we recommend to test the product on an inconspicuous area first to ensure compatibility with the surface. Soak a lint free cloth with cleaner and wipe off surface. In case of strong soilings, let cleaner sit for a while. Notes: The substances are completely biodegradable. 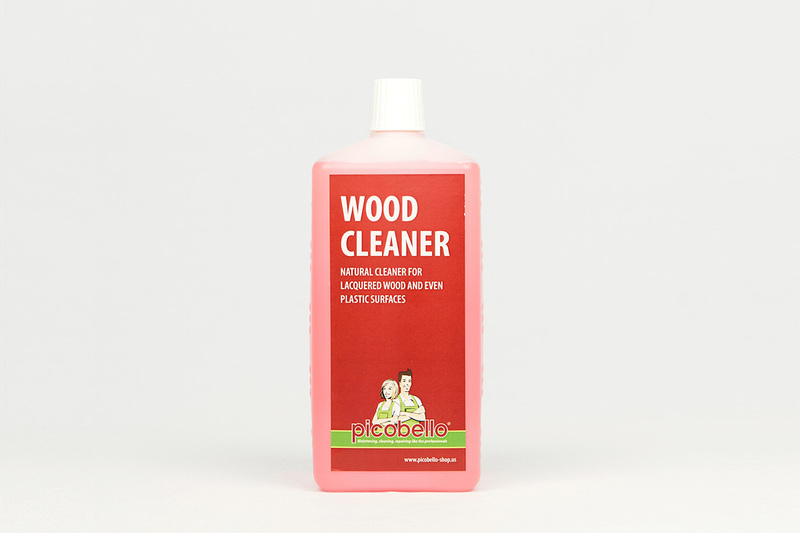 Wood Cleaner neither contains phosphates nor dangerous acids, lyes, petroleum distillates or chlorinated hydrocarbons. The product may bleach sensitive textiles. Because of the cleaner‘s fat-dissolving properties, we recommend to use a hand cream after work. Water-based product. Protect from frost!